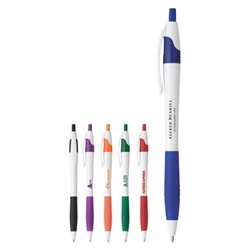 Customized Cougar Pen with Rubber Grip features click-action mechanism. Custom Imprinted Cougar Pen is designed with retractable ballpoint. 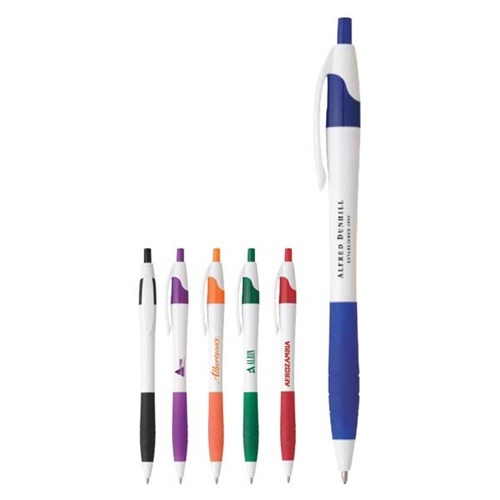 Customized Cougar Pen with Rubber Grip is available in 6 colors: White w/Black Trim, White w/Blue Trim, White w/Green Trim, White w/Orange Trim, White w/Purple Trim, and White w/Red Trim.